Grading, Tiling and Ditching solution to control water flow, erosion and standing water on the surface of farmers’ fields. 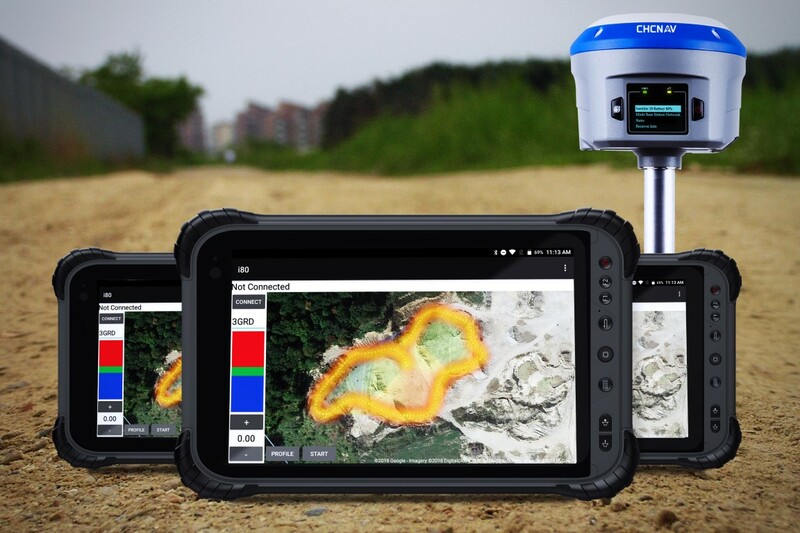 Our RTK GNSS-based solutions are available for skid steers, dozers, graders, scrapers, excavators and most road building equipment. AMW DIRT™ is an automatic blade control solution for skid steer, scraper, grader, or dozer applications, to conduct rough and fine land shaping activities with all sizes of equipment. AMW GRADE™ is a topographical survey solution for rough grade (elevation) checking and asset management. 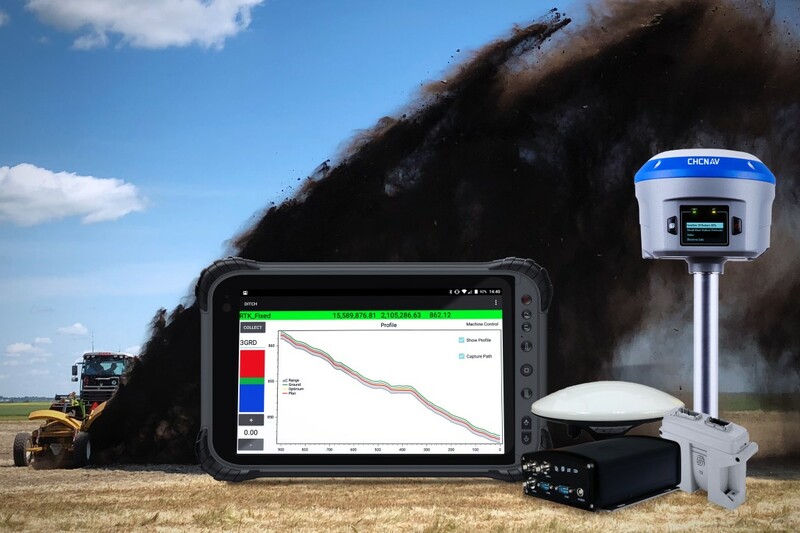 AMW DITCH™ is a turn key RTK GNSS based surface drainage control solution that fully controls all surface water management equipment like Ditchers and Scrapers. 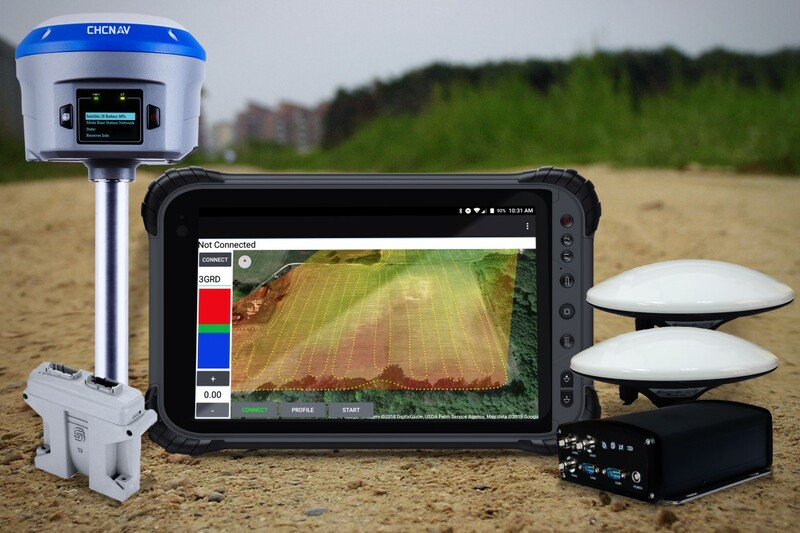 AMW PIPE™ is a turn key RTK GNSS based Tile Plow control solution that automatically calculates tile depth and slope, then controls installation. Over 30 years of advanced machine guidance, machine control and GNSS knowhow. AMW Machine Control has been developing 3D machine control systems for years, leading the way initially with Total Station technology, lasers and for the last 15 years, RTK GNSS. AMW offers the most accurate machine control available for nearly anything that digs, grades, or paves. AMW Machine Control software is available through direct sales, dealers, and distributors around the world. 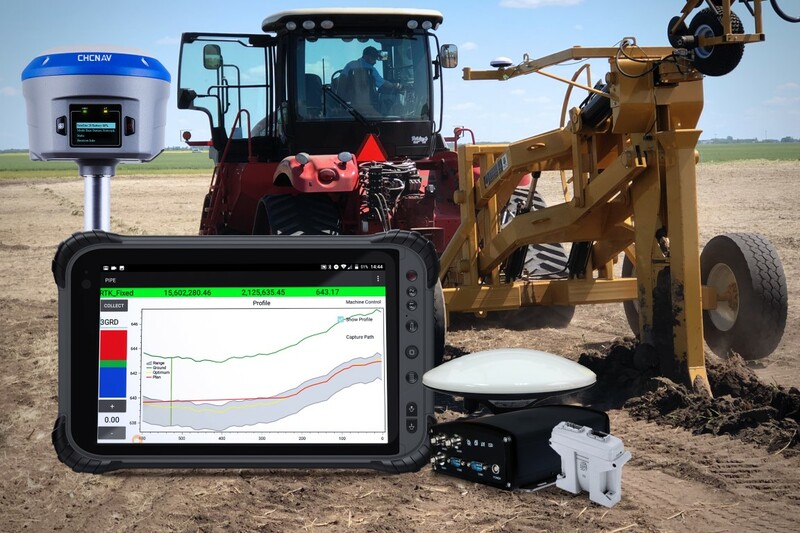 A US based subsidiary of CHC Navigation, based near Grand Rapids, Michigan, the AMW Solutions team combine their many years’ experience in the construction and agriculture industries as well as with extensive GNSS Survey technologies. AMW Machine Control Solutions Inc. © 2019. All Rights Reserved.